This group of effects draws the frets of a guitar or other fretted string instrument. The number of strings, number of frets, etc. can be set. One version is for strings of the same length, while a second version allows for variable length strings. See the FretFind website. A third and fourth version require input of a scale in the Scala file format. Top: Single Length Equal Temperament. 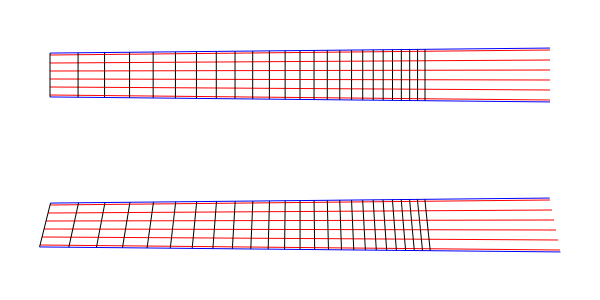 Bottom: Multiple Length Equal Temperament.